Fox News Channel did a funny thing on Tuesday night: The famously controlling network allowed one of its primetime stars, Megyn Kelly, to essentially audition for her next possible gig. 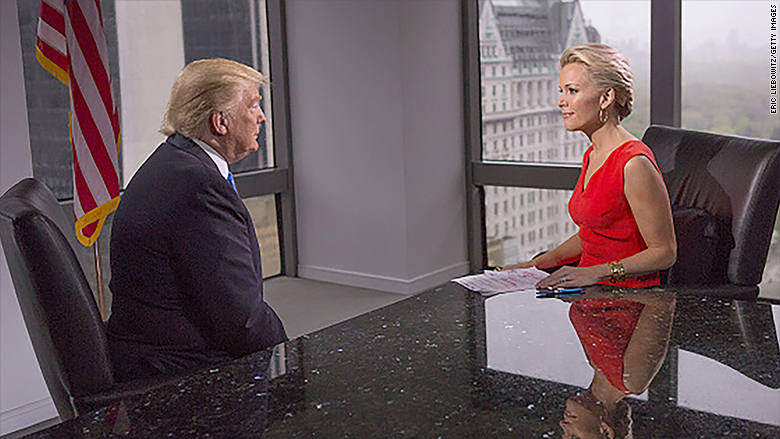 "Megyn Kelly Presents," a one-hour primetime special, aired on the cable channel's sister network, Fox. The celebrity-style hour showcased Kelly in a way that could advance her stated interest in becoming the next Barbara Walters, or even Oprah Winfrey -- and invite outside offers. Opening the special on a peculiar-looking, almost sci-fi-like virtual set, Kelly showed off a lighter, breezier side. But she also appeared to be trying a bit too hard to approximate the tone of Walters' specials highlighting the year's "10 Most Fascinating People." 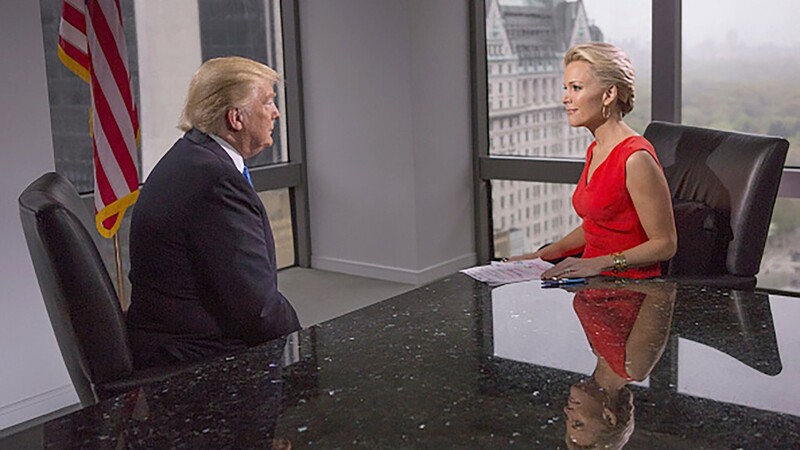 The centerpiece, not surprisingly, was Kelly's interview with Donald Trump. The GOP frontrunner has repeatedly criticized the host since her tough questions while moderating a Republican president debate in August, building anticipation for their faceoff to a fever pitch. In keeping with the conventions of primetime interviews, though, Kelly kept the conversation personal, not political. In fact, there wasn't a single policy question, or even anything close to one; rather, the Trump talk ranged from potential regrets about things he's said or done during the campaign to failed marriages to the death of his older brother. "Let's talk about us," Kelly said, as a segue to the rancor that Trump has exhibited toward her. Trump ultimately sounded mildly contrite, while stopping short of an apology. Throughout, Kelly sought to approach the talk with a sense of humor. But if she wanted to present another aspect of herself as a personality, featuring Trump -- while obviously promotable -- wasn't really a good choice. That's because the focus in many quarters will inevitably be on all the questions she didn't pose. The special also contained two wince-inducing elements at the end: An unnecessary lightning round with Trump, asking about things like his favorite movie; and a shameless plug for Kelly's upcoming book. Other than Trump, who took up nearly half the hour, "Megyn Kelly Presents" featured a slightly disjointed lineup of guests. Those segments offered a better clue, frankly, of what Kelly can do in the celebrity or personality-driven space. By contrast, Kelly's interviews with actor Michael Douglas and defense attorney Robert Shapiro were largely a waste. She didn't even seek the latter's appraisal of John Travolta's odd depiction of him in FX's recent hit miniseries "The People vs. O.J. Simpson: American Crime Story." For all that, Kelly did look comfortable in this format. And Cox and Shapiro both briefly teared up, which is certainly a time-honored tradition of Walters' big "get" interviews. Kelly has sought to remain above the fray since August, but Trump's comments triggered pointed responses from Fox News and its chairman Roger Ailes. The rift has been especially notable because Trump gained political credibility in part via his regular Fox News appearances before launching his campaign. Trump's rhetoric created some strange bedfellows. Even some Fox News critics rallied around Kelly. Meanwhile, the failure of Kelly's colleague Bill O'Reilly to defend her seemed to become a source of internal friction. In various interviews, Kelly has talked openly about considering options when her contract comes up next year, seemingly putting the news star in play. Kelly has also publicly expressed gratitude toward Ailes and might very well opt to stay put. That includes the prospect of headlining more specials for Fox. Still, if Kelly's interests lie along this path, Fox doesn't possess the same history in primetime news as other major networks. ABC, in particular, has a void to fill with Walters and Diane Sawyer significantly scaling back their contributions. All that serves as context for "Megyn Kelly Presents," and its possible role in any future Kelly sweepstakes. Whether that happens remains to be seen, but the host didn't weaken her hand on Tuesday. Kelly certainly would be in in demand even without the Trump controversy. Yet in terms of raising her profile, his criticism came at an opportune time. To the extent that helped hoist the Fox News star higher into the news stratosphere, it's just one more symbiotic footnote in the relationship between the mogul and the media.